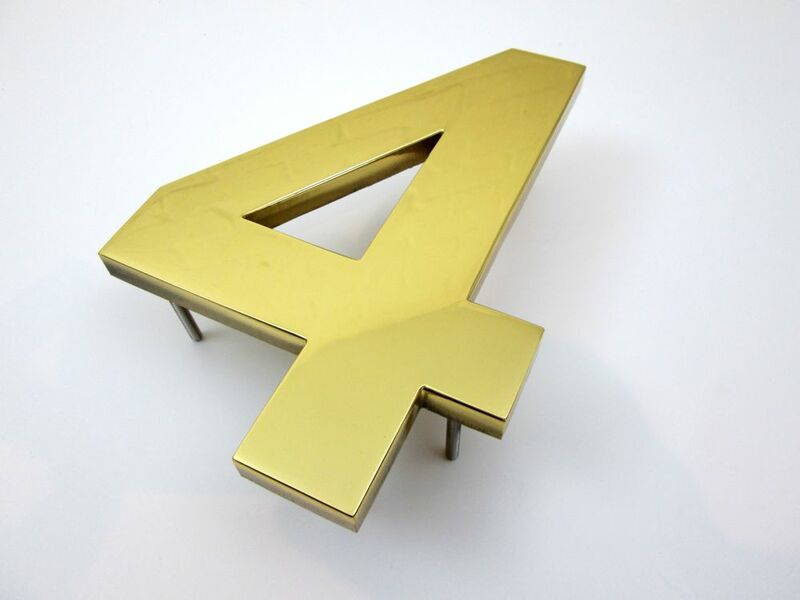 Prestigious house numbers made from stainless steel, brass, bronze, copper and aluminium. Big polished brass Numbers, 200mm high, 3mm, 6mm or 12mm thick. Ribbon Deep font. 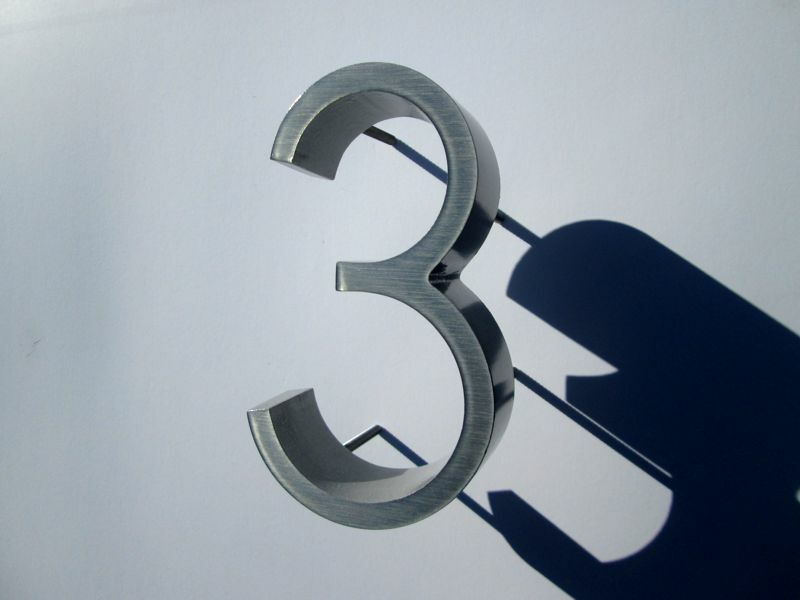 Aluminium House Numbers, 150mm high, 37mm thick, rod fixings, paper template. Built up stainless steel numbers with a brushed face. Brushed or polished stainless steel letters for house address numbers. All numbers are custom made to order.